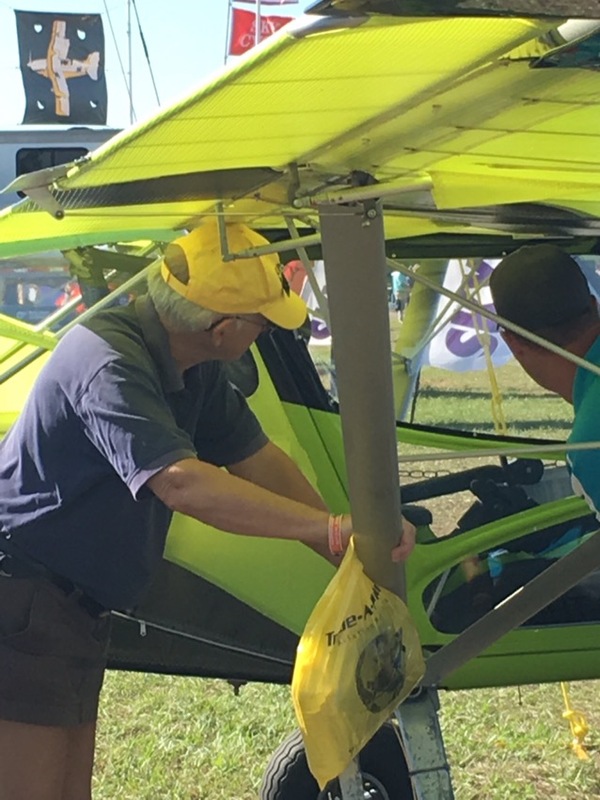 Here are some pics from the air show, Sun n’ Fun, in Lakeland, Florida. Unique to me is the range of true airplane zealots I met. Ages range to ancient from young and hopping. And hoping. The first photo is me ready for my first flight in a light sport plane. I’m in love. The third on is the wonderful man who rescued me from NY and abuse. He’s in love with this neon green beaut.